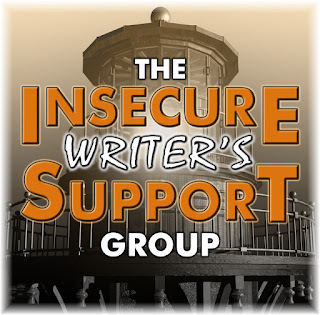 The awesome co-hosts for the September 6 posting of the IWSG are Tyrean Martinson, Tara Tyler, Raimey Gallant, and Beverly Stowe McClure! 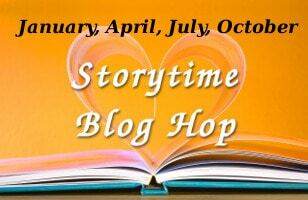 September 6 Question: Have you ever surprised yourself with your writing? For example, by trying a new genre you didn’t think you’d be comfortable in?? The biggest surprise I ever got with my fiction was when I switched from Mysteries & Thrillers to Science Fiction. I wasn’t really looking to change genres… After all, I had finished manuscripts just waiting to revise, and I was getting fairly upbeat and positive rejections on the one I was sending out at the time. And the stories were getting darker. I also had a bunch of friends who wrote Science Fiction and Fantasy waiting for me at NaNoWriMo, so when I realized I needed a break from the slicey-dicey stuff, I knew where I should go for that break. Take some time off, entertain a few friends… maybe a nice trip to Mars. By the time I was finished with my first draft, I think I already knew that I wasn’t going back to the thriller end of the universe. At least, not full-time. I’m a lot happier spending months and years debating how to populate a spaceship than I am thinking about how badly that murder in the news was messed up by the perpetrator, even if reading thrillers is…thrilling… for a week or two. I like the mystery/thriller but not sure how good I’d be at writing such a story. I put it into my fantasy/paranormal writing in a hybrid way sometimes but always felt intimidated by the genre. Good for you! I did that last year as well. I switched from YA to adult thrillers. Mind, I have never written fantastical elements in either genre. It scares me. Maybe someday. I’m really attracted to the idea of trying out dystopian in shorter fiction. Writing for children terrifies me. Too much trying to figure out what level they’re at at what age, and whether that thing is age appropriate in normal families. I write mystery/horror, but sci-fy would be a logical switch for me at some point. I’ve always loved the genre (thank you Ann McCaffrey). BTW, “fairly upbeat and positive rejections” is priceless! Come on over! We’d be lucky to have you. They were good rejections that made me feel like I’m getting closer. I’m glad you’re happier in your newer worlds. Congrats on the surprise that was waiting for you. That is a switch, but an exciting one. I love both genres so it sounds fantastic to me.